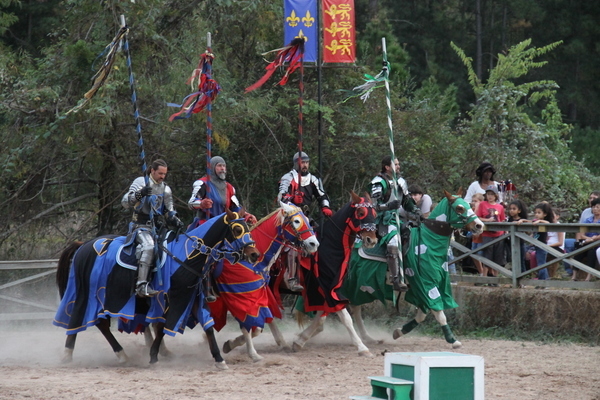 I went to the Texas Renaissance Festival back in November with a friend (who gave me one of his free tickets in exchange for me driving) and had, of course, a blast. 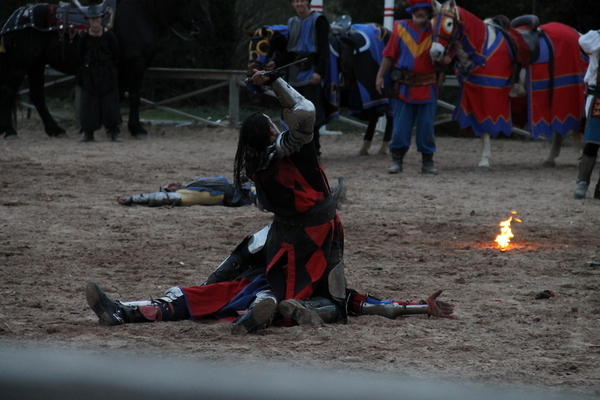 Even if dressing up in costumes and swordfighting isn’t your thing, you should go at least once because I maintain it is as much fun to watch as it is to participate in. I should probably break this post up into multiple posts, as it has so many pictures, but I don’t want to and so I shan’t. First off, we got stopped a parade in one of the towns we were driving though, which was pretty auspicious. 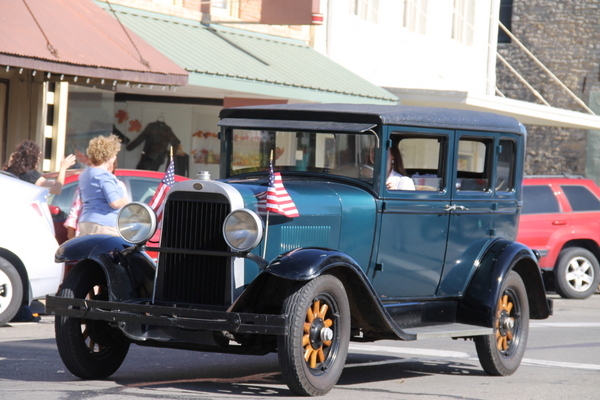 There were lots of old cars – this was my favorite! – and motorcycles and horses and flags, oh my. 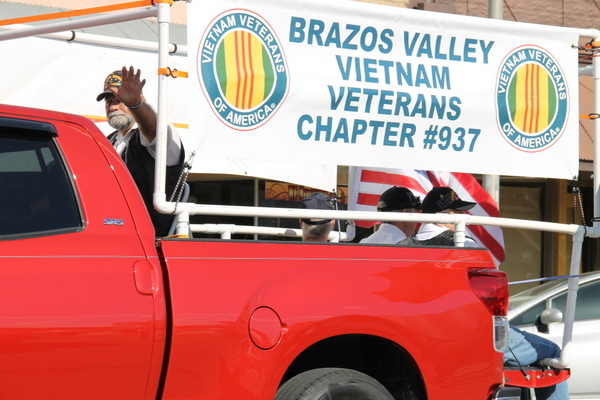 By this, I judged that we were somewhere in the Brazos Valley. Again, I have the most horrible memory and I didn’t write down anything. 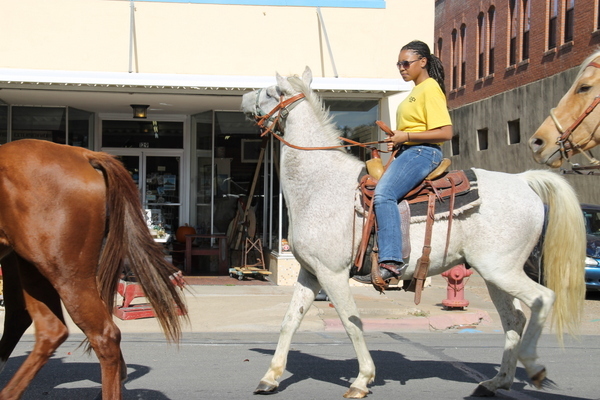 Horse be like, “WUT?” but the rider don’t care! 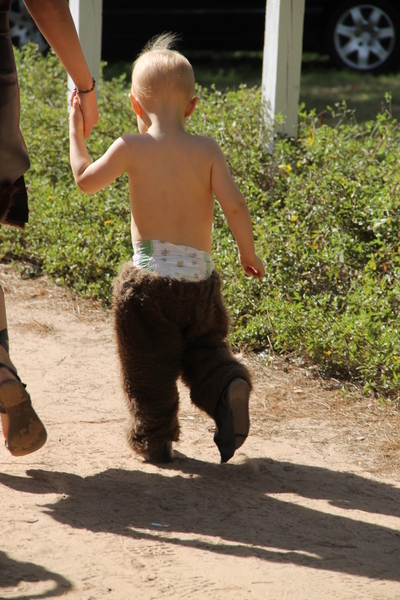 Then we arrived at the fairgrounds and the first person I see in costume is this adorable little barbarian, trotting along in his adorable fur pants. Y’all don’t want to mess with him! We stopped by the weapons and armory store first thing because my friend was salivating over a sword or something. 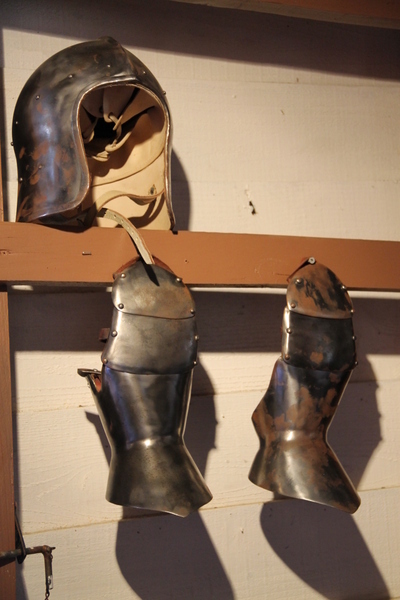 If you’ve ever had a hankering for iron boots or a mace, this is the place to find it. Alms! 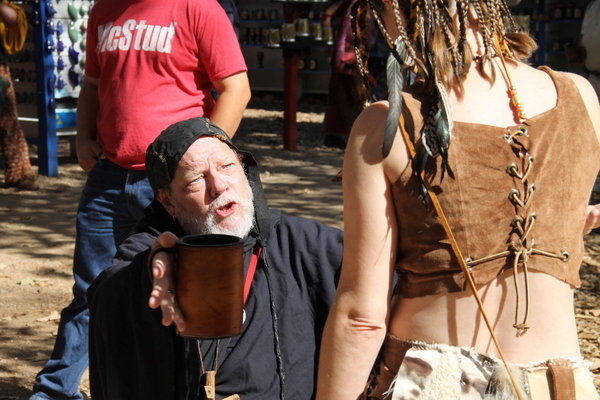 Alms for the drunk, er, poor! 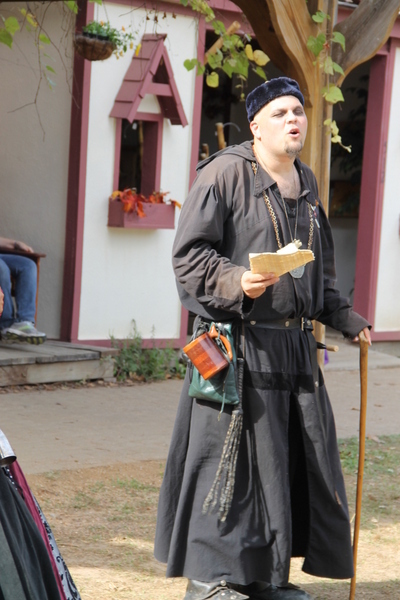 This man played a hilarious drunken friar, begging the people for money. I don’t know who she is supposed to be, but her outfit is awesome. 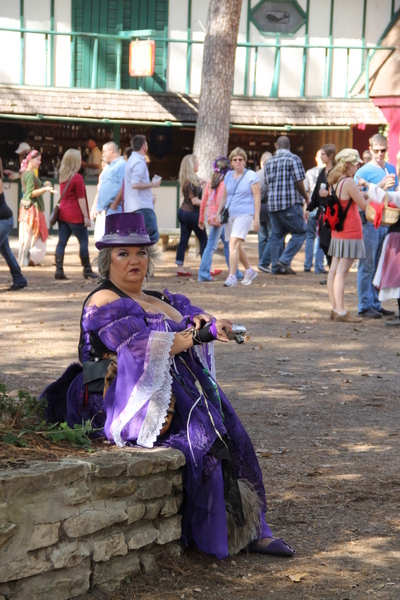 See this woman with the fan and the regal look on her face? See the way her body language is suggesting the man on the left is merely a servant? I want to be her when I’m older. 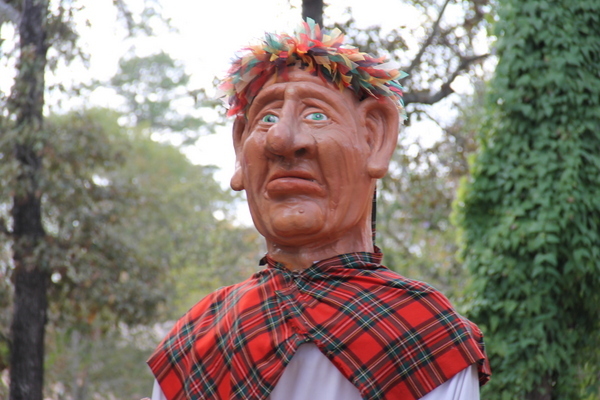 A massive head and torso in the parade. 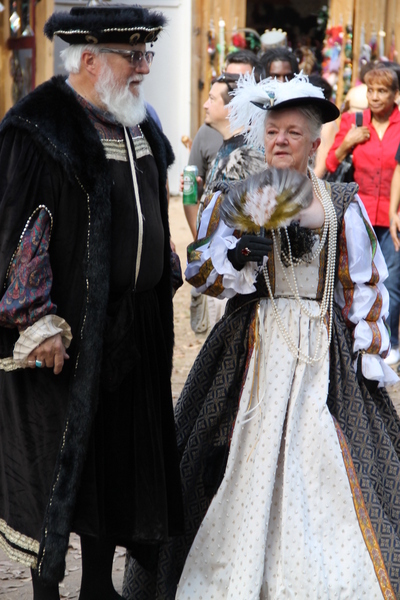 (yes, there’s a parade and everyone who performs in RenFest walks around. It’s kinda awesome. One can see how loosely the word “Renaissance” is interpreted here. 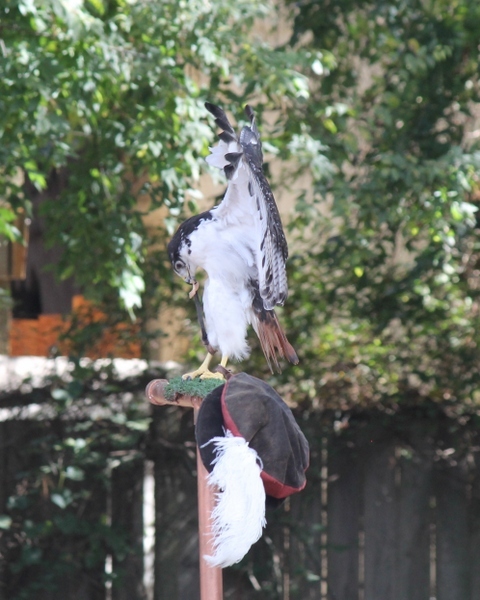 There was a falconer! With falcons! And hawks! 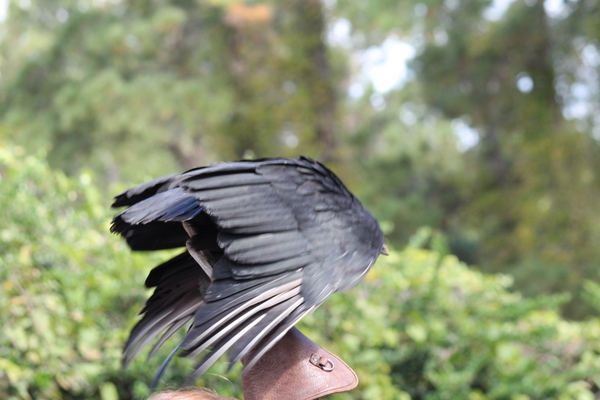 And an incredibly aggressive vulture! 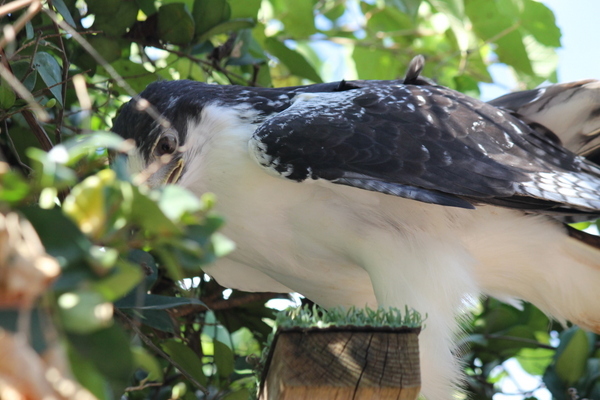 This beauty flew into the tree right above our heads, I snapped this picture, and … my SD card was full. So I had to change it out and by the time I was done, she was gone. The missed photo op of a lifetime. I still love this photo, simply because the bird is so incredibly beautiful. Same bird (I think a falcon) continuing to be the most awesome being in existence. 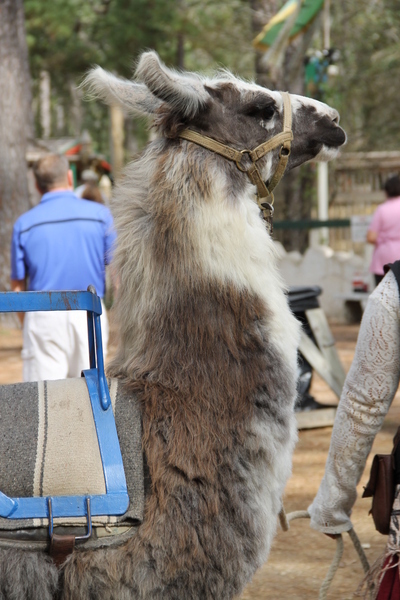 Llamas are strangely dignified beings, even when they’re being rented out for rides to children. 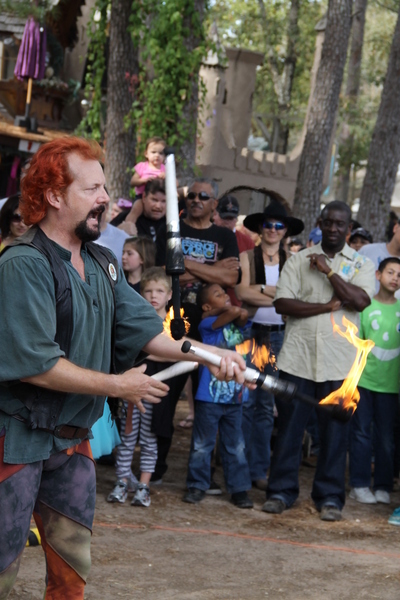 This man is juggling fire. That is all. 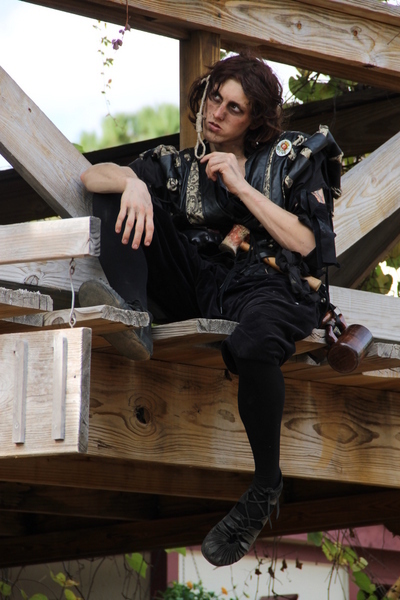 An actor, playing out the Transylvanian version of Romeo and Juliet. An educating experience. 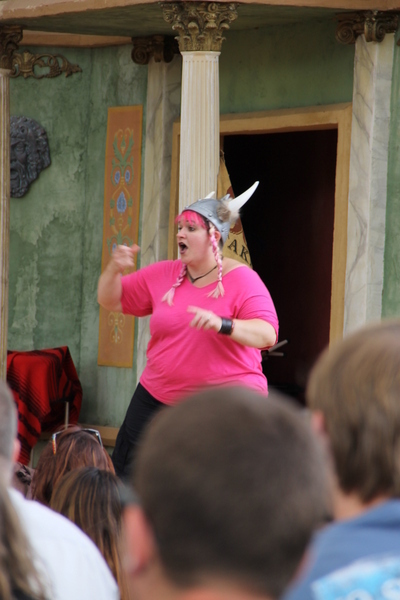 One of the comedy troupes had an ASL interpreter. Everything should have ASL interpreters, in part to be inclusive to the Deaf community, but also because watching spoken word turn into movements is fascinating and I love watching the interpreters. Mainly to be inclusive, though. 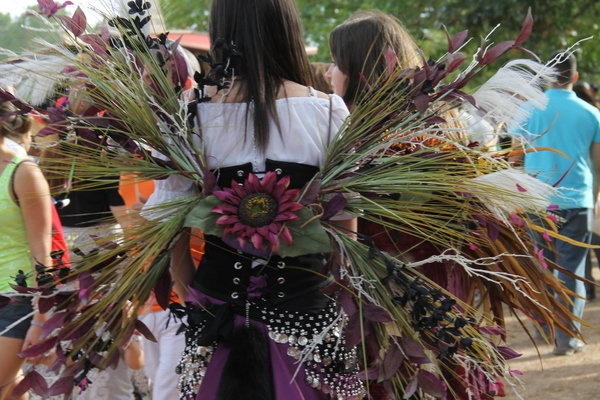 Fairy wings – there were lots, but these were the most elaborate. 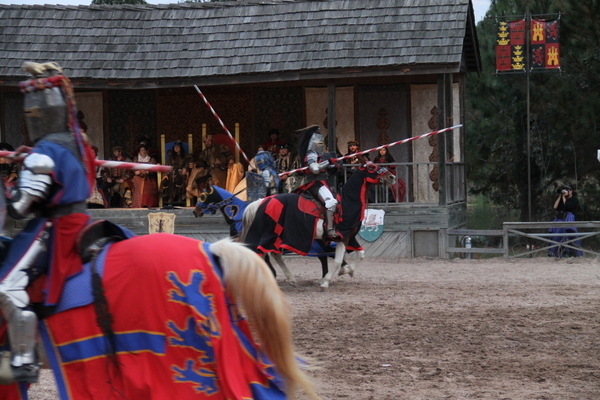 Jousting is incredibly difficult to photograph, by the way. Sorry for the mediocre picture. 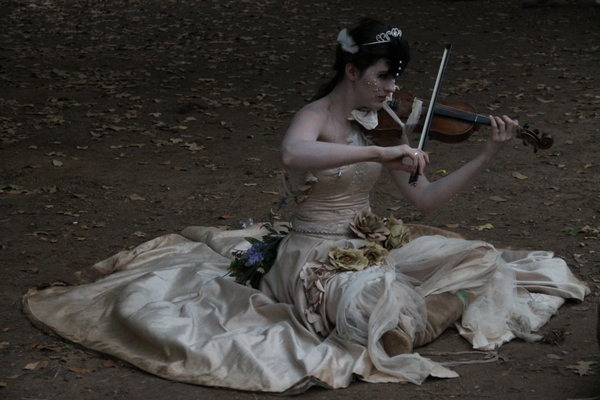 Then, on the way out, we saw this ethereal woman playing. (For monetary donations, which detracts from the fae-like quality, I suppose.) She played beautifully, though.